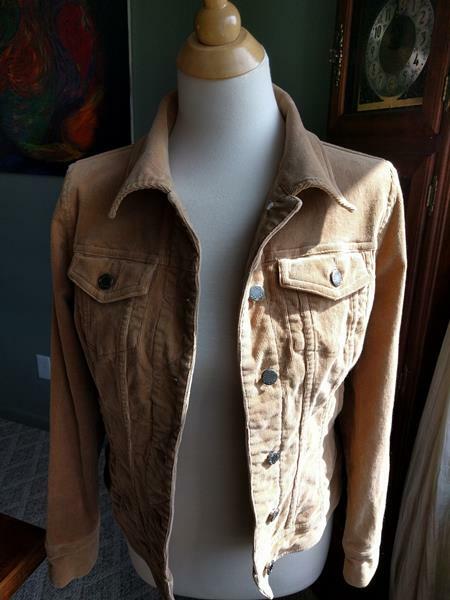 Here's another authentic Levi's jacket. 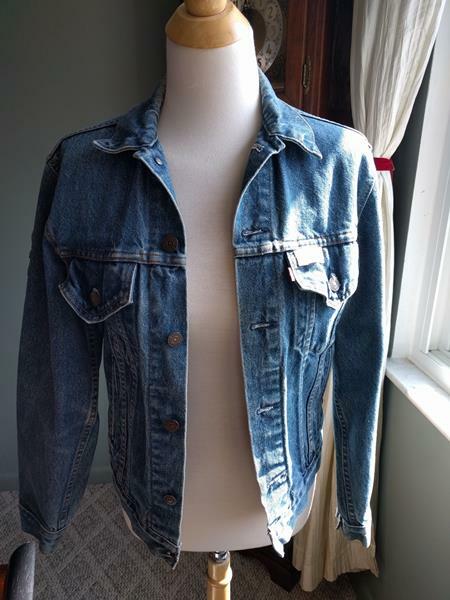 This one's a 38R, so works as a women's medium/large, or men's small/medium. 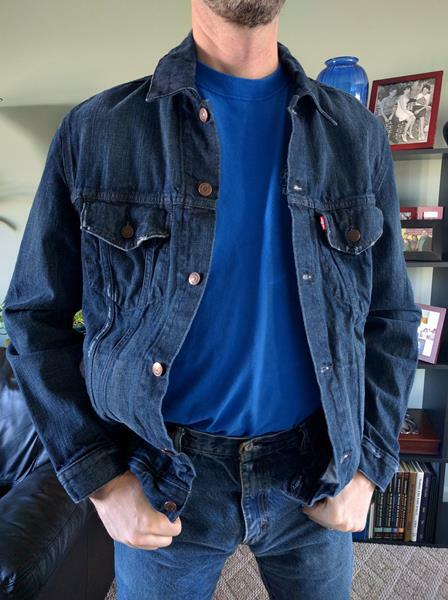 Soft, broken-in, medium blue denim. 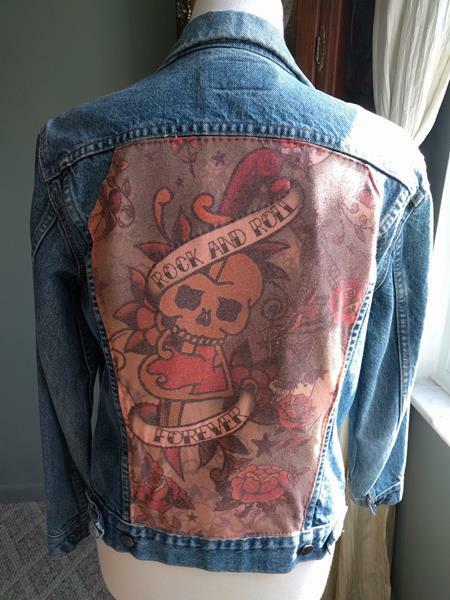 Tattoo art design of skull and dagger, guitar, roses, and the words Rock and Roll Forever. 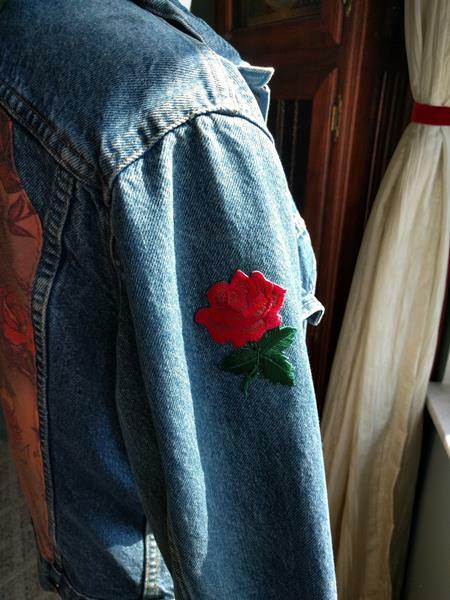 Red rose applique on right sleeve. Six pockets: inside, breast, and handwarmers. Bonjour! 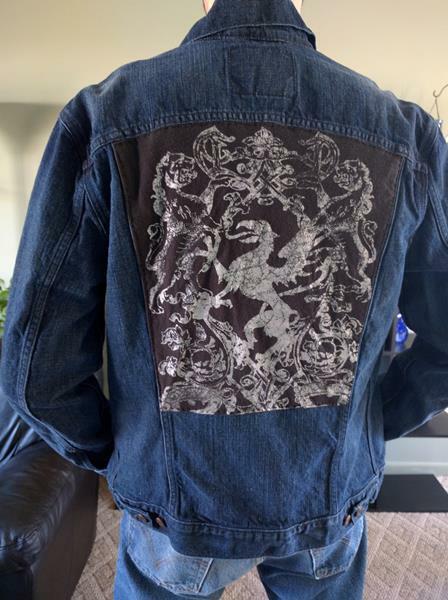 I just finished a lovely little Jaquito: it's made of fawn-colored stretchy corduroy, with a soft light green Chardonnay design on the back, embellished with just a little sparkle. Size medium. Wide collar, inside pockets, handwarmer pockets, breast pockets. 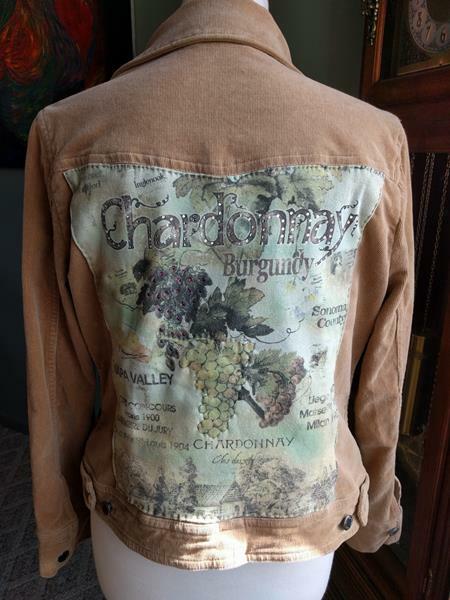 A perfect spring jacket for a wine lover!